Thank you for joining me as we count down to the next MFT release. All the new Stamps, Die-namics, and Stencils will be available tonight at 10:00pm EST. Be sure to check out the MFT Blog to see all the new items being revealed today. Don't forget to leave a comment on the MFT Blog Countdown posts, YOU could win one of the five $75.00 gift vouchers. My card for today features two of my favourite sets from this release, True Friends and Modern Blooms. I know both of these sets are going to have a permanent spot on my stamp desk. I LOVE them! 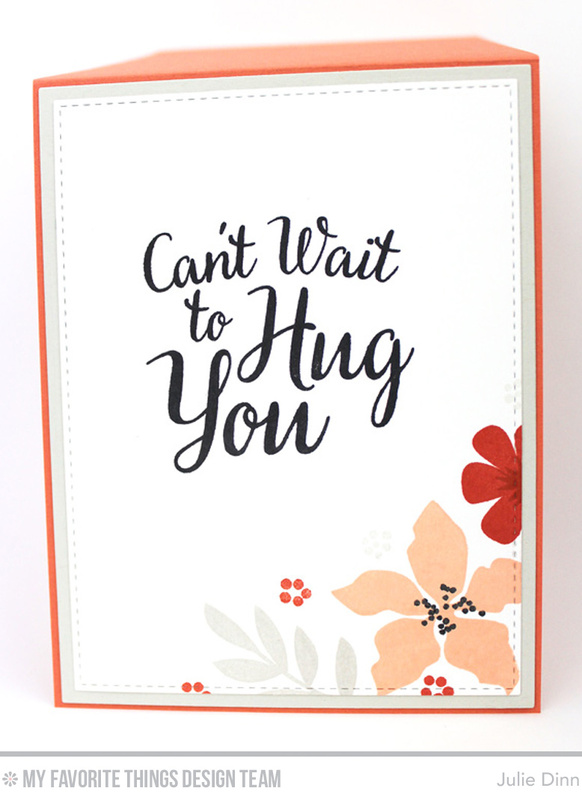 I used the fabulous MISTI and an assortment of inks to stamp the sentiments and the flowers. This new tool makes a such a difference when using bold stamps. On the inside of the card, I stamped one of the other fabulous sentiments from the True Friends stamp set. This set is FULL of amazing sentiments! Wow, I am super impressed at the crisp stamping of those flowers! I would love to win a MFT gift cert. I only have 1 MFT's stamp set and I love it. We don't have many craft stores here so they aren't readily available to me. BOO HOO! So beautiful! Great choice of colors! Pretty, pretty, pretty! Love the colors! Your color choices are superb! Love the new Modern Blooms stamp set. Oooh.....so pretty! Love the color combo. Your background is perfect for that sentiment! 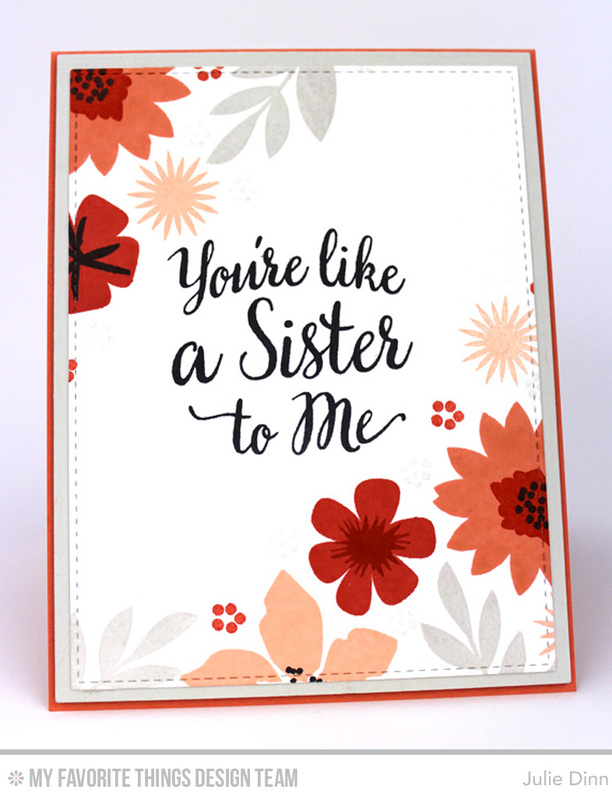 Love the beautiful Modern Blooms with the True Friends sentiments!! Beautiful!! !